Perrysburg Schools has contracted with Kajeet to provide Internet hot spots free of charge to any student in need. 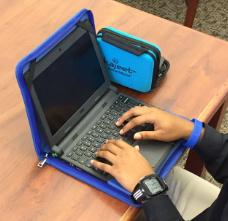 Being a “1:1” school district, where every student in grades 5-12 are issued a laptop, it is important that we ensure all students have access to their education by addressing barriers such as financial circumstance, living arrangements, etc. Our Diverse Learner Focus group work, which is now the CQ CommUNITY, developed this program to help remove barriers to student learning. The program was partially funded by a grant to ease the cost to the school district while ensuring we are supporting ALL students. Parents and guardians whose child is in need of Internet services in order to access their educational resources, complete homework, participate in online discussions, etc. may contact their child’s teacher, school counselor or principal to request to join this program. 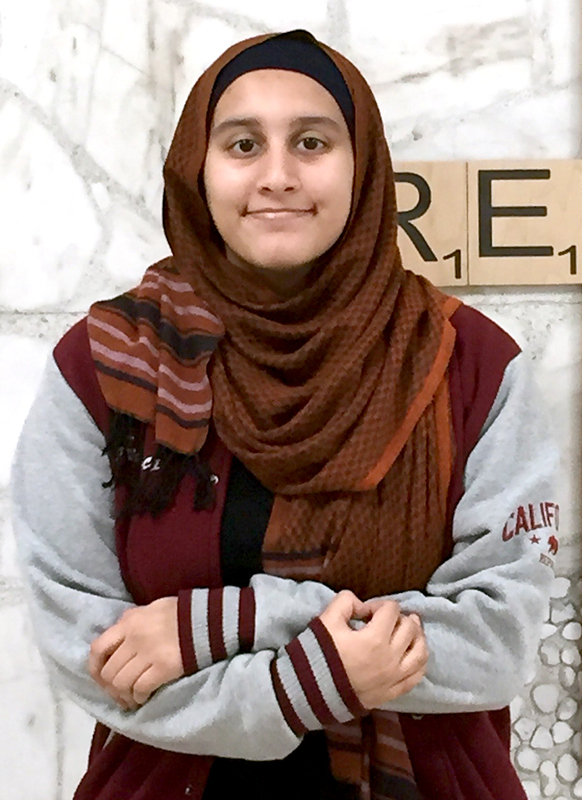 Aisha Sediqe is an 8th grade student at Perrysburg Junior High School who embodies the Jacket Way. Not only has Aisha been an honor roll student through the first semester, but her peers and teachers view her as a leader and a role model. Outside of school, Aisha is involved in horseback riding, where she has participated for over two years in Lucky, Ohio. Aisha indicated that she is proud of the different friendships she has made and cultivated while participating in these activities. In addition, Aisha enjoys artwork and reading and said a recent trip to Afghanistan opened her perspective of her family heritage. Karen Bade is an outstanding person and an exceptional professional educator who makes a very positive impact in our school program. She is a Reading Specialist who serves students in grades K-4 at Toth Elementary School. Over the past 5 years, Karen has coordinated the Perrysburg Summer Reading Program. She is very involved in Toth’s School Carnival, the Walk-a-palooza and Toth’s Diversity Fair, in conjunction with the Ability Center. There is a yearly Toth “Coin Challenge,” which helps to support the Ability Center's program in an effort to help individuals achieve independence. It has raised more than $6,000 over the last 4 years. This year it will be held March 4-12, which aligns with Toth’s Diversity Fair. 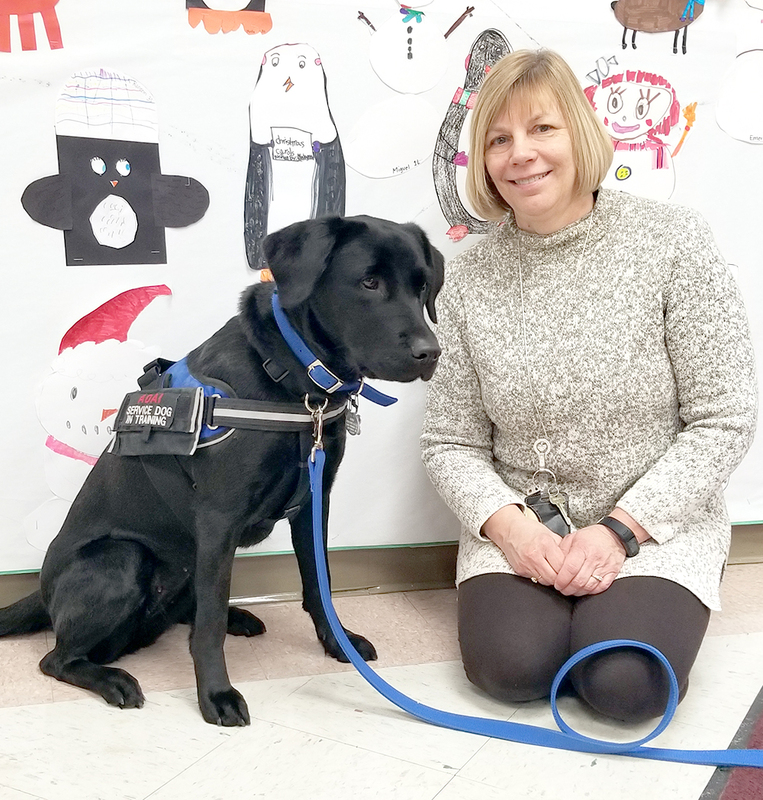 Karen is a member of the Volunteer Leadership Team for Assistance Dogs For Achieving Independence (A.D.A.I.) through the Ability Center. She is now a foster provider for her 14th dog, six of which have come to Toth Elementary School.